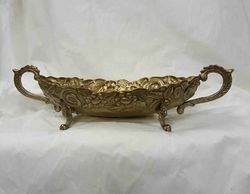 This is an exquisitely carved silver - plated fruit dish of size 10 inches. We are the leading manufacture supplier exporter of Stainless Steel Fruit Dish and offer this product as per client requirment and i am looking For bulk and foreign query like UK , USA , Australia . We offer beautifully designed bowls made from stainless steel. These have curved notches as its surrounding which enhances its aesthetic appeal. 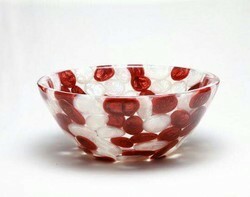 Apart from being used to serve food items, these can also be used for decorative purposes. These can be availed in different sizes and designs. 3 - Available Size : 12" and 16" . 4 - Material : Aluminium.